The second Papuan independent Film Festival – Festival Films Papua (FFP-II) has been launched on August 7, 2018 at the hall of the State Museum of Papua at Expo Waena, Jayapura, Papua province, Indonesia. The Deputy Mayor of Jayapura (Wakil Walikota Jayapura) Rustam Saru officially inaugurated the festival. This year’s theme is “indigenous Papuans struggling in the face of modernization”. Leading up to the festival, The community produced a number of videos where different members of civil society, professionals, and common people endorsed the festival and asked people to join the event. The venue was decorated by the Papuan Voices Community members and the auditorium looked like a cinema hall. There were booths of indigenous Papuan mothers selling handicrafts, books, food, and other activities. 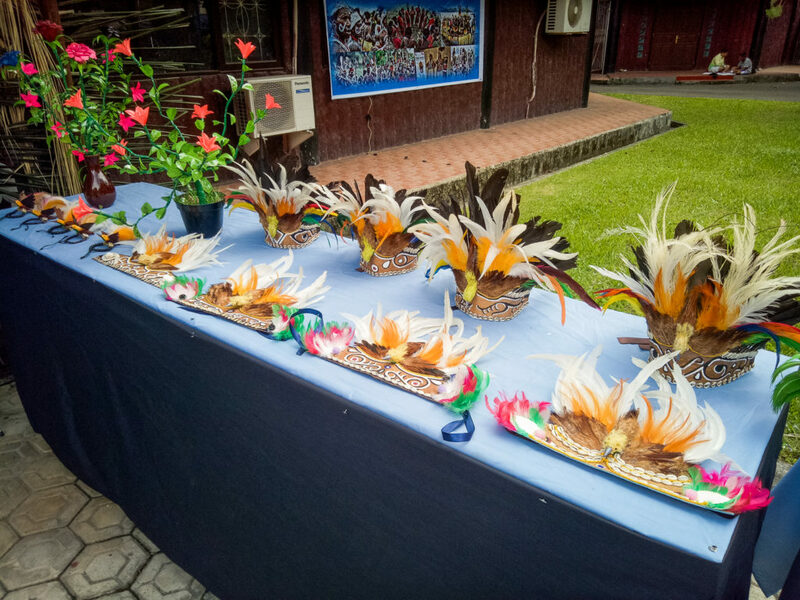 The verandahs were decorated with typical Papuan trinkets neatly arranged. A total of 19 films from different areas in Papua have been submitted last month and a 4 member jury council consisting of Wensiaus Fatubun, Veronika Kusumaryati, and Zadrak Wamebu selected 10 best films from these. These films along with others will be screened at the festival until 9 August, 2018 when the festival will be drawn to a close after celebrating the day of the world indigenous people. The main aim of the FFP-II is to increase public awareness on the critical issues faced by indigenous Papuans and emphasise on their role in the economic and infrastructural developments in Papua region. 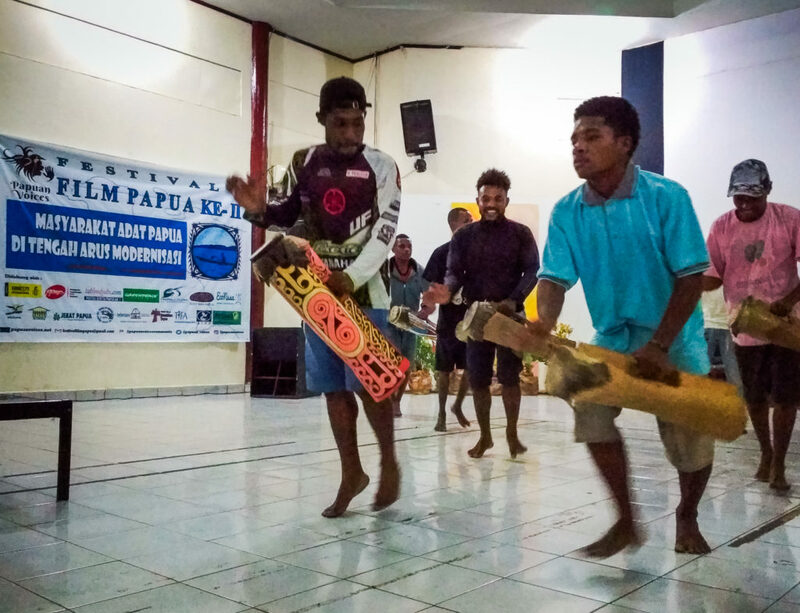 The community held a number of workshops in the past few months to help budding filmmakers prepare for the submissions for the 2nd Papuan Film Festival (FFPII). These films can be the basis for the people to make their stand on issues based on the information they see and they hear. Papuan Voices is a video advocacy initiative of EngageMedia involving Papuan activists since 2011 to tell their stories to the world more effectively. Over the past seven years, the Papuan Voices community collaborated with partners like EngageMedia and church groups in Jayapura and Merauke to teach Papuan activists video production and distribution skills. They have trained more than 50 film-makers and produced almost 100 films which were screened in more than 50 locations in Indonesia and beyond. In 2015 the Papuan Voices community started the process to become an independent organisation. The alumni and partners of the program have now taken ownership of the project and it operates independently. The Papuan Voices community has now a presence in six regions of Papua, namely Biak, Jayapura, Keerom, Wamena, Merauke, Sorong and Raja Ampat. 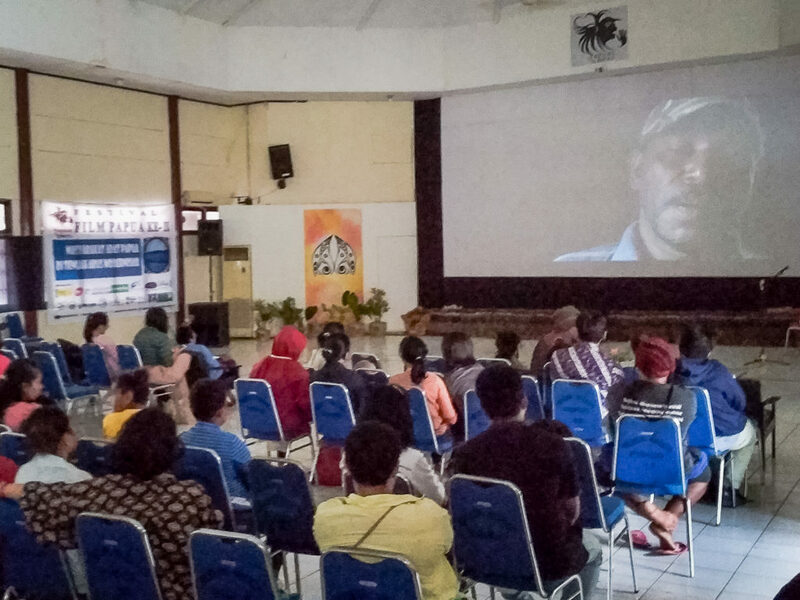 Last year, the first Papuan Film Festival was held in Merauke, Papua. The event was co-hosted by Papuan Voices and EngageMedia. 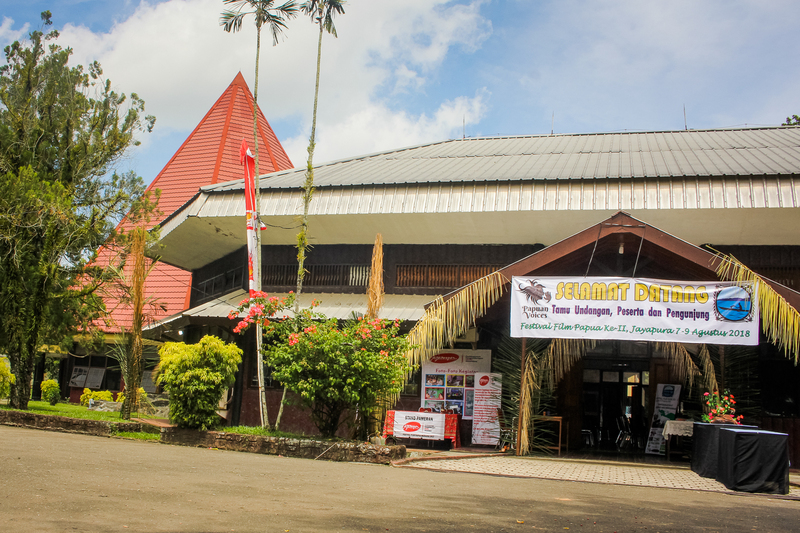 It was the first independent film festival ever held in Papua. Almost 30 films were submitted in the 2017 festival, 50 people participated in the pre-festival production workshops, ten films were produced through youth-focused workshops. Follow Papuan Voices on our Facebook, Twitter and website.